IELTS test in the Dominican Republic was shared by V., whom I am grateful to for remembering the following details. 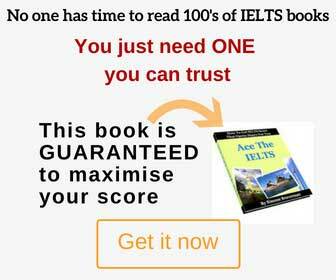 Later on I was told by G. from USA that their IELTS was exactly the same. Section 1: A woman was calling Keffran Activity Center, an outdoor sports center, to ask about their activities like hiking, mountain biking, camping, etc. Section 2: A man interested in renting some apartments called the person in charge asking for information. Section 3: A man telling guests at a convention center about the location of restaurants, art exhibitions, etc. Section 4. A woman was talking about the results of a survey regarding lectures given in universities. Questions: Multiple choice. These were really long, so you had to listen attentively for the answer. There were also some tricky questions. Passage 1: An article about apes and the threats they face. Passage 2: How verbal communication has evolved. Passage 3: An article about climate change affecting the animal kingdom. Write a 150 word report on two graphs that showed the different resources such as wood, water and electricity used to produce 10,000 disposable cups of two types: paper cups and polystyrene cups. Many people say that universities focus only on preparing the graduates for better jobs, others say that university studies can benefit widely the individual and the society in which they live. Discuss these two different views and state your opinion. – Tell me about the place where you live. – Do you think the public transportation system is good where you live? – Do you like reading? Why? – What books do you read? – When do you read? – why you remembered it. – Do you write letters or emails? – When was the last time you wrote a letter? – We’ve been talking about newspaper articles and magazines, what do you think is the future of both?